The D13S publicity committee has been working hard to design a new website for the division. Come check it out! This new website will be where we will be officially updating you on upcoming service events, DCMs, contests, and more! 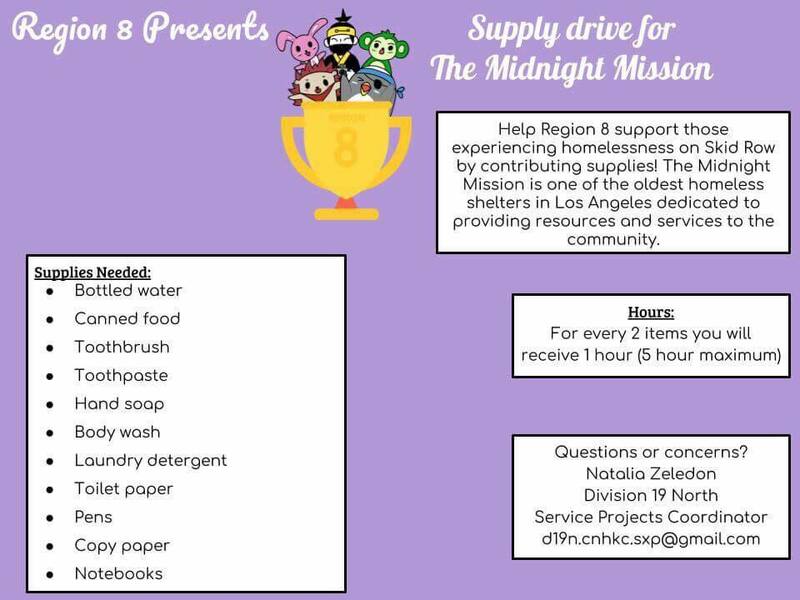 Help Region 8 support those experiencing homelessness on Skid Row by contributing supplies! The Midnight Mission is one of the oldest homeless shelters in Los Angeles dedicated to providing resources and services to the community. The CNH Spotlight on Service Program was created by the Service Projects Committee to promote International and District initiatives as well as to encourage active participation with organizations/initiatives. The program also gives clubs the opportunity to showcase their unique service projects that positively impacts their home, school, and community. Every service project impacts the community and the lives of others, even in its smallest aspect, and further making service worth recognizing. This month's focus: Bee Clean, CNH! HI-YA NINJAS!! Are you going to the Region 8 Olympics?? Buy a custom badge from D19N!! Simply fill out the google form and pay the mandatory donation of $5 to our LTG, DLT, or your club president a week before July DCM. 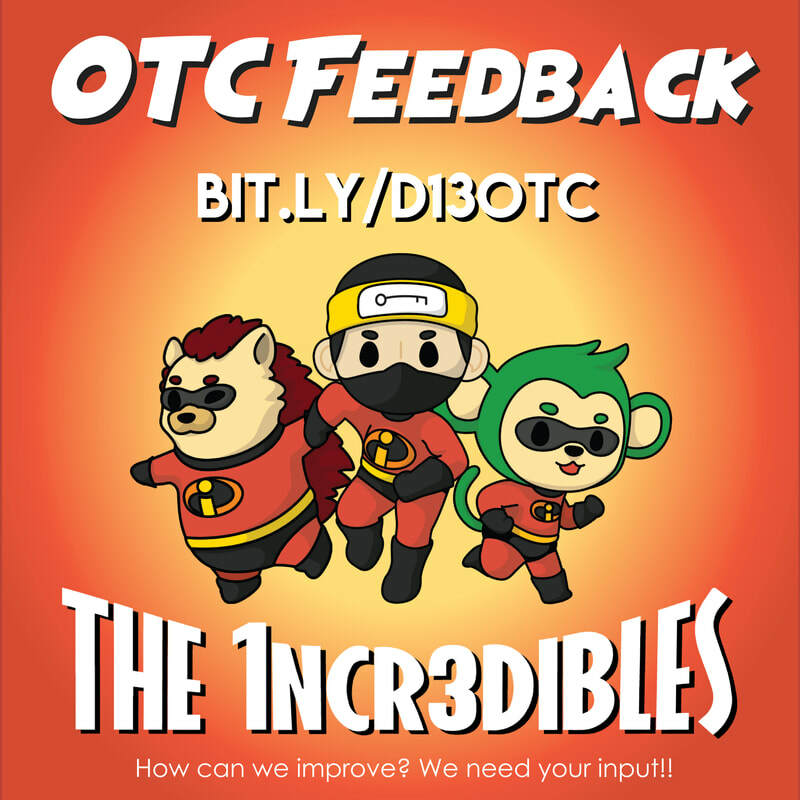 We would love to hear your thoughts of OTC and how we can improve in the future! 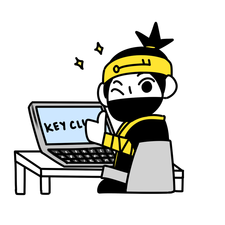 ​Hey Ninjas!!! As it is the beginning of a new term, we are looking for a new T-Shirt Design!! The design contest will end July 30th @ 6PM. Even if you are not good at designing, I highly encourage you to enter!! The winner will receive a free t-shirt. Wouldn’t it be amazing to see our division wear your design at Fall Rally South and other major key events!? Please follow all the requirements listed in the photo. If you have any questions, contact DNE Alexis Phan by email or facebook messenger! 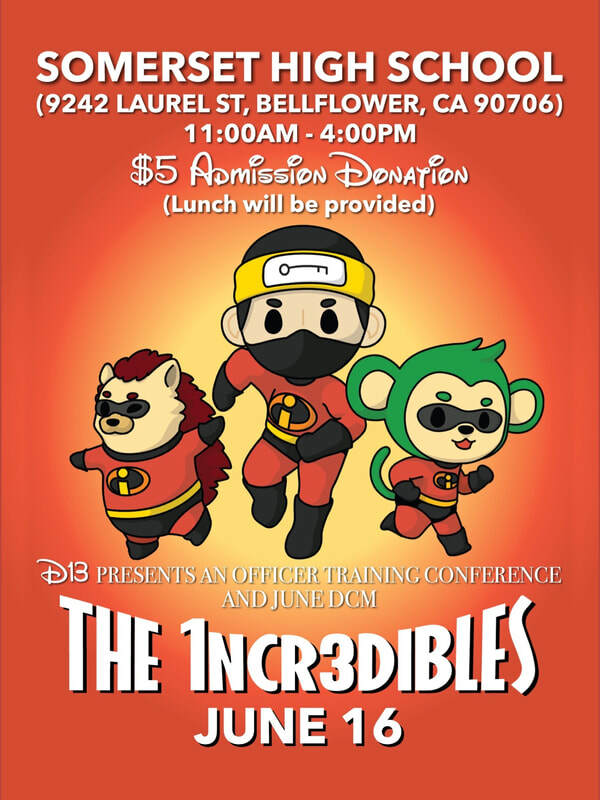 ​This year, Officer Training Conference will be 1NCR3DIBLE themed! Officer Training Conference (OTC), is where officers and members get to learn about the duties of each officer role in the club! This special event will be a joint with Division 13 North and Division 13 West! There will also be many workshops presented by members and past members from both divisions! Then show it on the division spirit team!! Do you like graphic designing, photography, web designing, etc.? 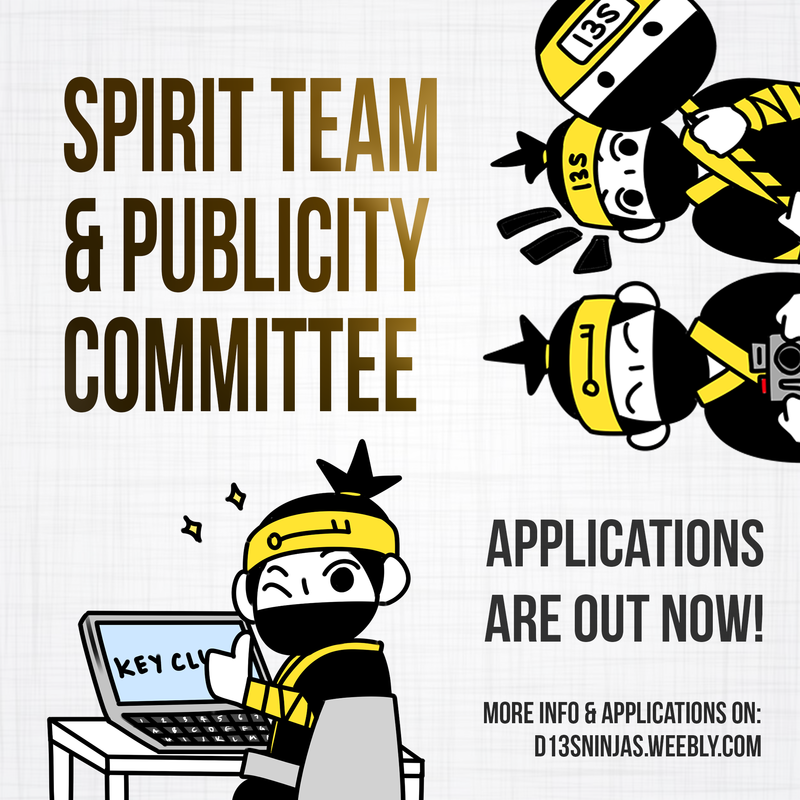 Then join the Publicity Committee!!! 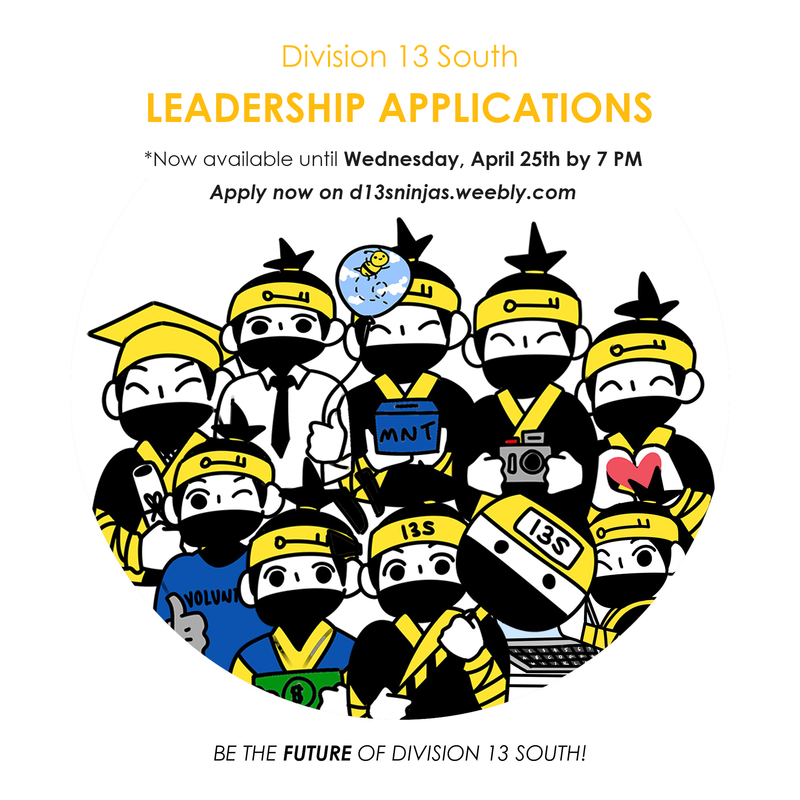 Now is the time to apply for the Division Leadership Team! Applications are linked to the left and please be sure to read all directions. ​The 2017-2018 term will be ending very soon! We will be reviewing what all of us have accomplished together as an ohana during the term and saying our final farewells to our senior members. 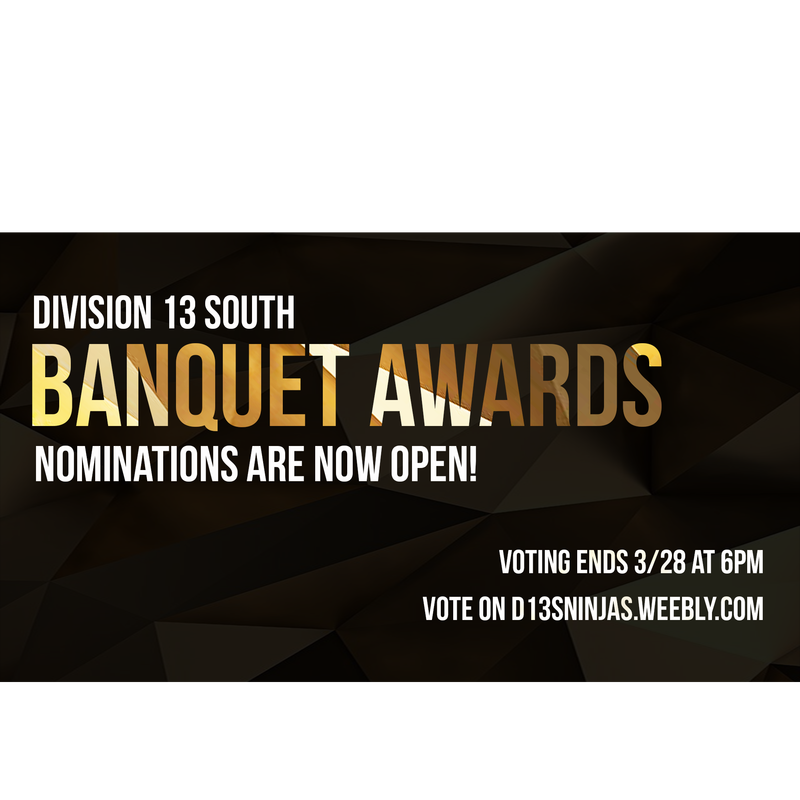 BANQUET AWARDS - VOTE NOW! Sadly, it's that time of the year...the 2017-2018 term is near its end, and that means our upcoming last DCM AND banquet will be coming up very soon! Every term, our division holds a special banquet commemorating all the service and bonding we've done together for our community. 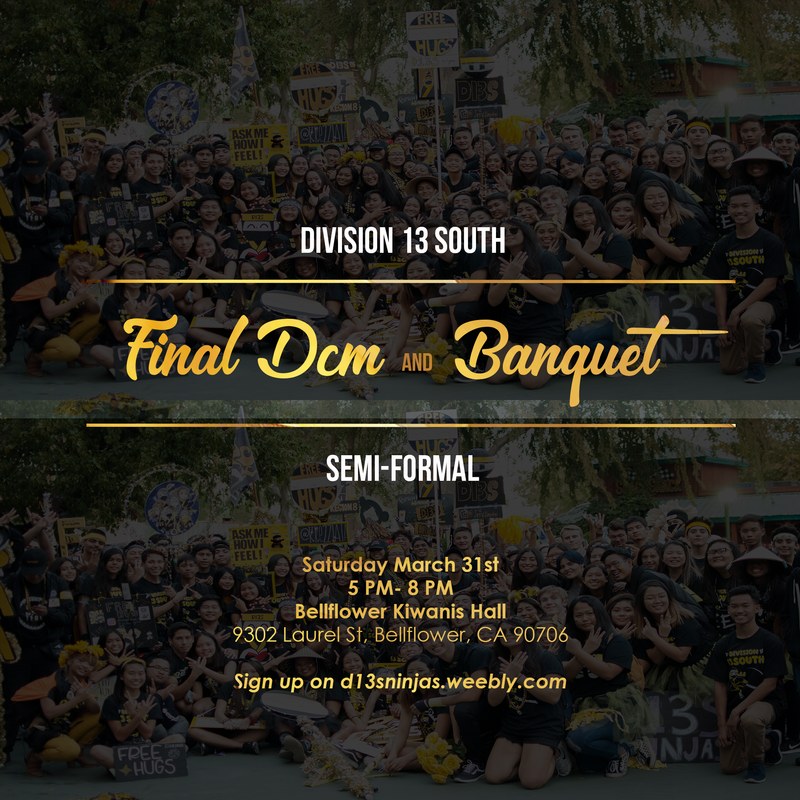 * The Final DCM & Banquet will be on Saturday, March 31st. More details will be posted later. VOTING ENDS ON WEDNESDAY, MARCH 28TH AT 6 PM. There will be a mandatory DCON meeting discussing requirements, bussing, housing, etc. Hey ninjas! Sadly, the 2017-2018 term is close to its end, which means...it is almost time for us to elect a new Lieutenant Governor for the upcoming term! At Conclave, delegates from each division vote for the Lieutenant Governor Elect that will be installed at District Convention (DCON) 2018. Members are NOT ALLOWED to vote, but are highly encouraged to attend and ask questions for the candidates during the caucus sessions. Please be sure to register if you plan to attend! 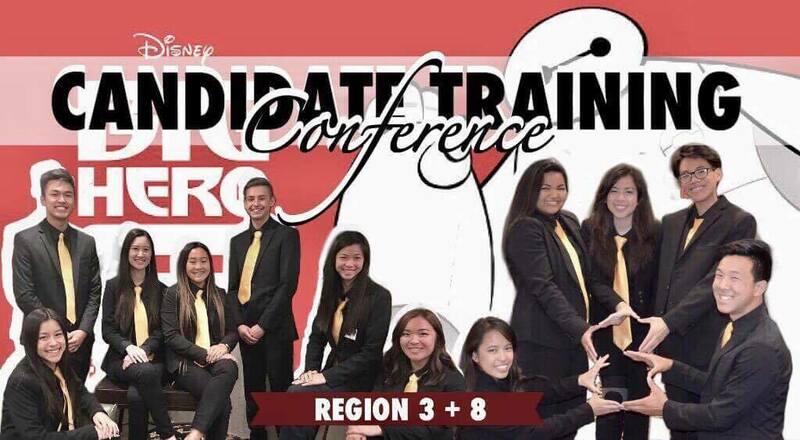 With Conclave in two months, come join Region 3 and Region 8 for our annual Candidate Training Conference! Learn what it takes to become a Lt. Governor from all the duties to the skills you will need to have a successful term! Our theme will be Big Hero 6! Since it will be a long day, please wear division casual attire. This is open to everyone but is mainly for people genuinely interested in serving as Lieutenant Governors. Even if you aren’t running this year, you should still attend! Please email Lt. Governor Katherine Luza (d13s.cnhkc.ltg@gmail.com) before you fill out the RSVP below, so more information will be sent to you. NOTE: THERE IS A REQUIRED $5 FEE. YOU WILL PAY THIS FEE WHEN YOU ARRIVE. DEADLINE TO SIGN UP: FRIDAY, DEC. 1ST. Celebrate Our Ohana at Fall Rally South 2017! Fall Rally South is one of Key Club’s biggest Pediatric Trauma Program fundraiser, sponsored by the California-Nevada-Hawaii District. It is a day where Key Club members celebrate who they are as an Ohana while helping out Pediatric Trauma. Every Fall Rally South, thousands of members gather at Six Flags Magic Mountain in Southern California, showing off their best spirit with their Division. At this event, you will be able to meet Regions and Divisions from all over the CNH District, and “purchase” LTGs and Executive officers who are “auctioned” off towards the Division with the most spirit in a designated Spirit Rally. Contact your president if you're interested. Divisional Spirit Rally. The Spirit Rally is an auction where Divisions display their utmost spirit to win the honor of “purchasing” an LTG or Executive officer being “auctioned off.” The officer “purchased” by the Division will be able to spend a designated length of time with them. The auction funds and a portion of the ticket sale proceeds will go towards the Pediatric Trauma Program (PTP). Fall Rally South is the biggest fundraiser for the PTP. Meet New People. You will have the opportunity to meet Key Club members from the whole District! 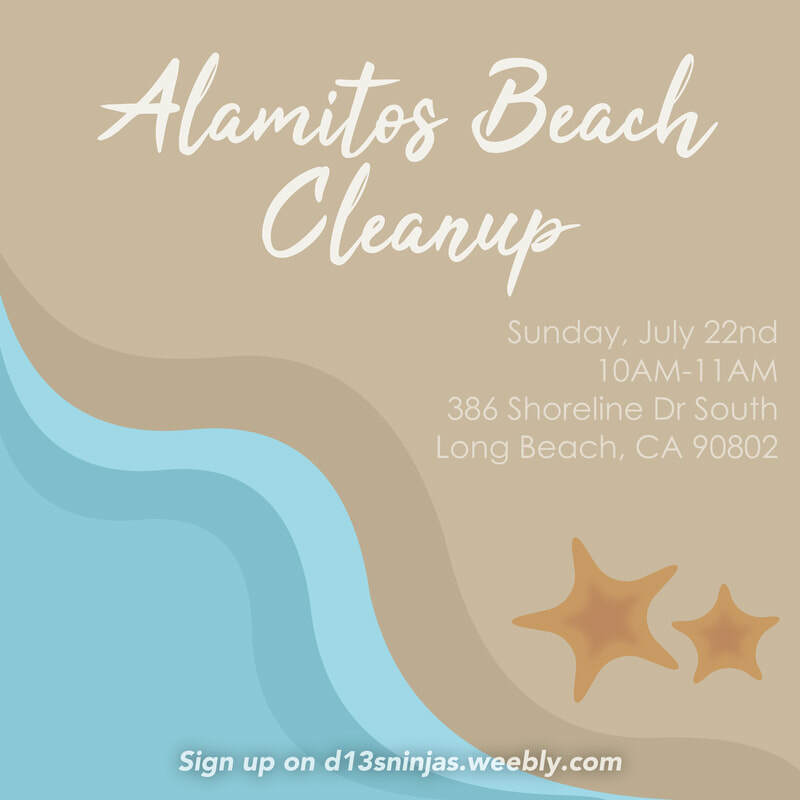 This is an event where you can strengthen your ties with members you might have already met in the past, or make new connections with a member from an entirely different Region. Buy from Divisions selling their own merchandise and take pictures with your new friends! Key Club Spirit. 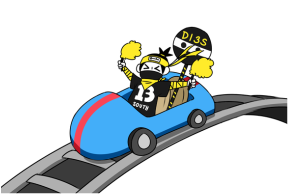 Dress in your Division spirit gear and make an impression on the other Divisions! Win Spirit Battles against all the other Divisions you come across. Represent your Division and spirit for service with your cheers, not only for your Spirit Rally, but for the entire District! Confetti, Powder, Thundersticks, Air Horn, Party Popper, etc. WATCH the video below TO SEE WHAT FRS IS ALL ABOUT! Want to further serve the division? Do you have a lot of spirit? Love cheering? Or do you​ simply love video-taking or drawing? 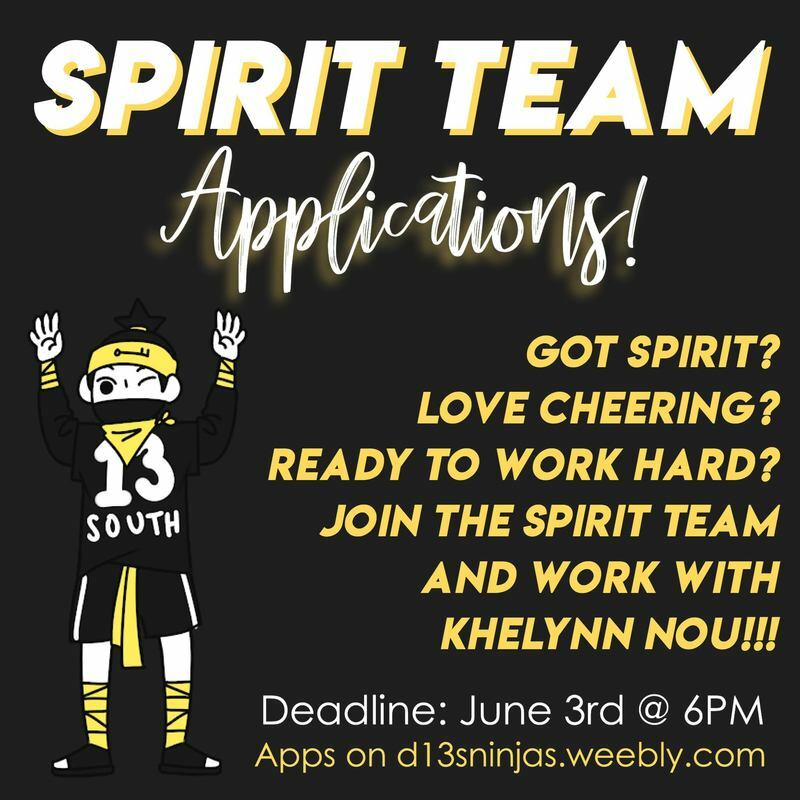 If you answered yes to any of these questions, then I highly recommend you to apply for the 2017-2018 Division Spirit Team or Publicity Committee! Check out the applications to see more information! 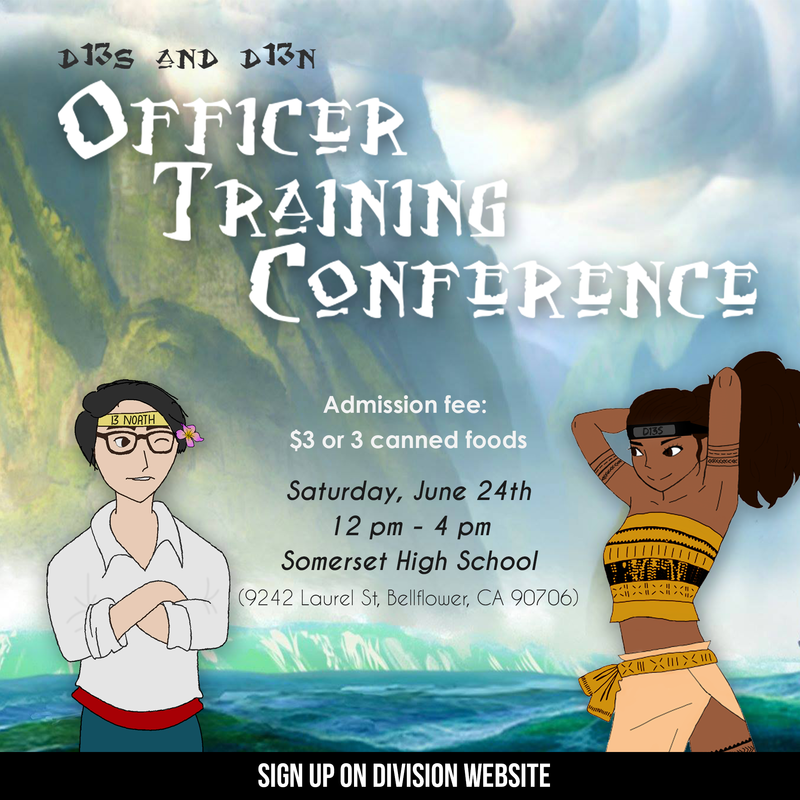 This year, Officer Training Conference will be Disney themed! Officers Training Conference (OTC), is where officers, and members, get to learn about the duties of each officer role in the club! 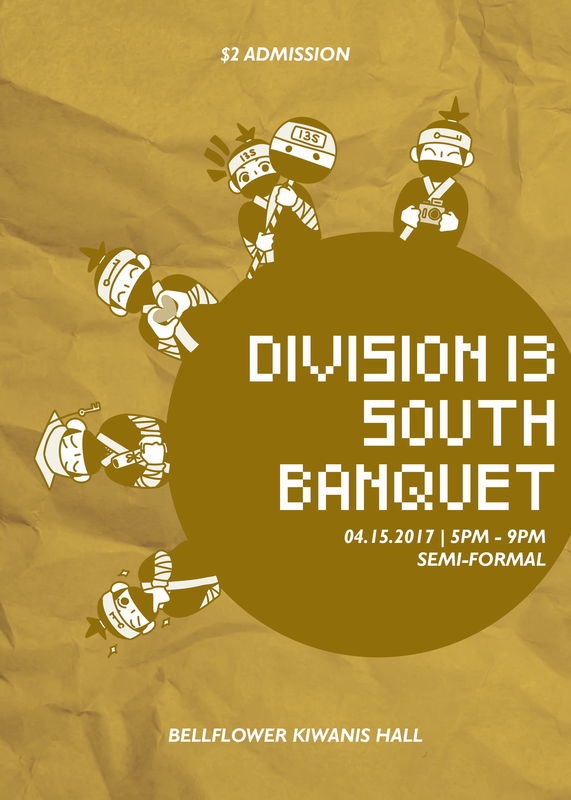 This special event will be a joint with Division 13 North! There will also be many workshops presented by members and past members from both divisions! Maternal and neonatal tetanus is a painful and deadly disease, causing extreme sensitivity to light, sound and contact—even preventing the comfort of a mother’s touch. It is a deadly disease that steals the lives of nearly 34,000 innocent babies and a significant number of women each year. 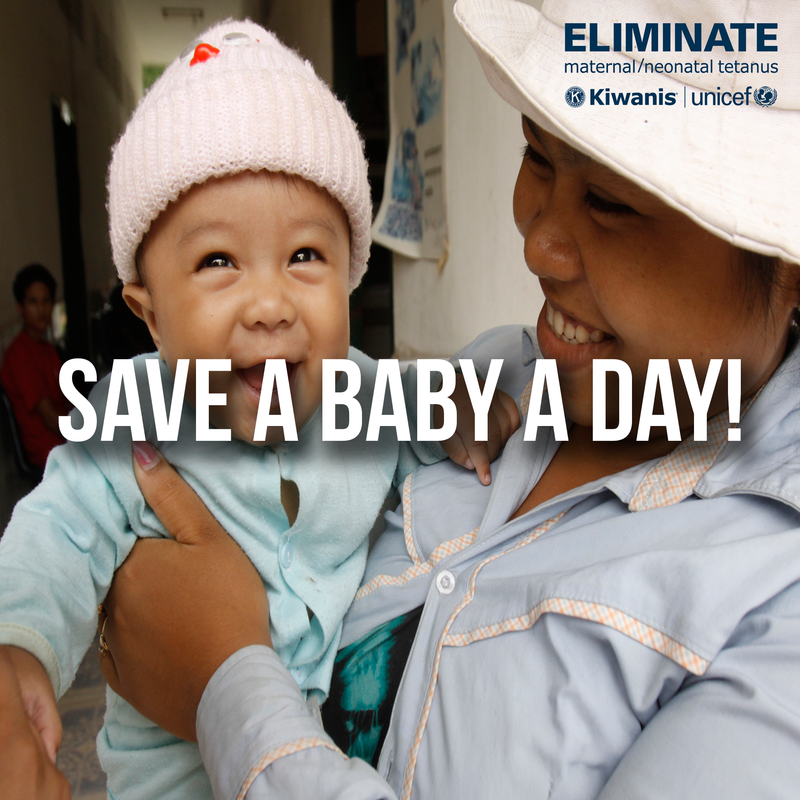 Through the Eliminate Project, Kiwanis International and UNICEF have joined together to help eliminate this disease, and to help protect the connection between mother and child. ​The 2016-2017 term recently ended on Sunday, April 9th. We will be reviewing what all of us have accomplished together as an ohana during the 2016-2017 term and saying our final farewells to our senior members. 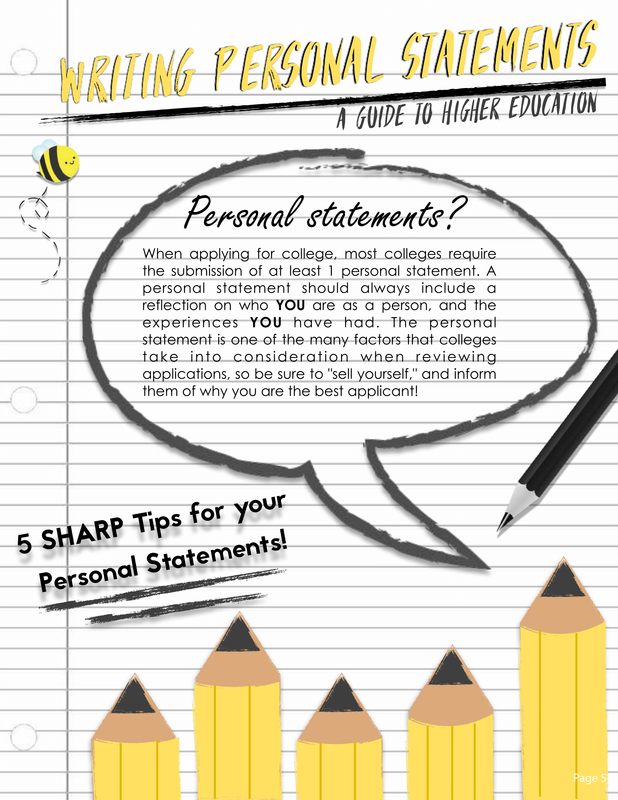 As college application season creeps in, I'm sure most of us need all the help we can get with things such as writing our personal statement, seeking financial aid and scholarships, finding the perfect college, and standardized test taking tips. 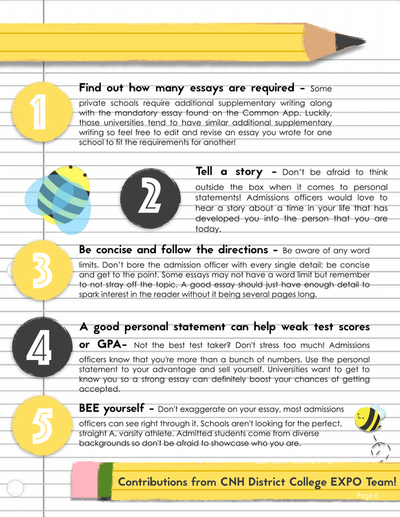 But worry not, because the CNH Key Club College EXPO Coordinator got you covered. The College EXPO Coordinator has provided different guides to help guide you through the confusing college application process smoothly. Guides such as ​as "College Applications, Preparing For Standardized Testing, Finding the Right College for You, and more can be found in the College Information Center on the CyberKey. You can also contact your region College EXPO Coordinator, if you have any questions regarding the college process. 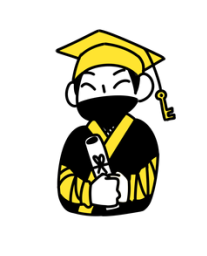 Also, don't forget to a keep a look out for Key Club scholarship contests which will be released in February 2017. 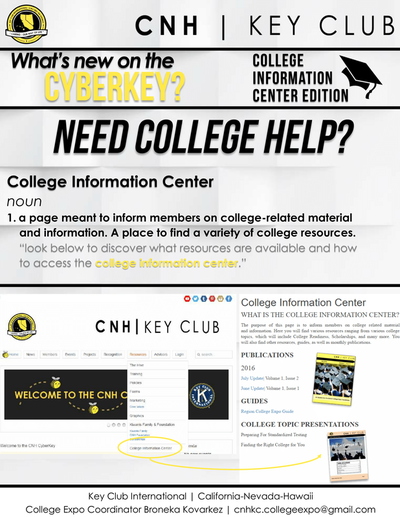 CLICK HERE TO VISIT THE COLLEGE INFORMATION CENTER! Have you ever just woke up one day, get dressed, looked into the mirror and said to yourself, "It's time this division get its own website, don't ya think?" Well, I had. With the help of the Division Publicity Committee and our LTG, we did it! So, without further ado, I would like to personally welcome to guys to the Official Division 13 South Key Club website. 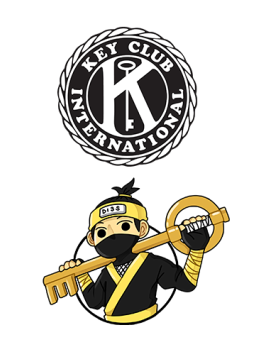 Our main goals of establishing this website is to allow non-Facebook Key Club members to easily connect with the Division and get up-to-date information, and also to organize all the essential Key Club information in one convenient place for easy access. Within this website, you can get information about the Division, District, and Key Club International in the "About Us" page, our projects and goals in the "Projects" page, our monthly recognition achieve and form, information about Upcoming Events, graphic and other resources for every member to use, and also contact information of the board members. You can also (I encourage you) submit your Key Club story in the "Submit a Story" page to be posted on the website. I would highly recommend you to bookmark this website or even make it into an app on your phone. If you have any feedback or concerns, please submit a feedback in the "Contact" page. And as always, I'll be looking forward to serve with you! Your pal, Mars signing out . . .
Not liking how DCMs are going? Give us your input by clicking the form at the bottom! 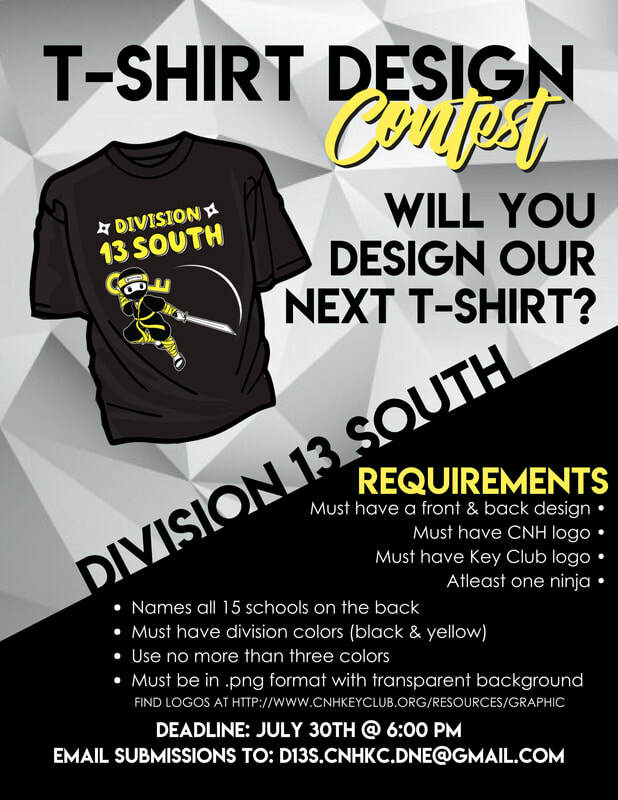 Tell us how you feel about Division 13 South DCMs so that we can improve and make this an even greater term! What is your favorite Key Club activity?